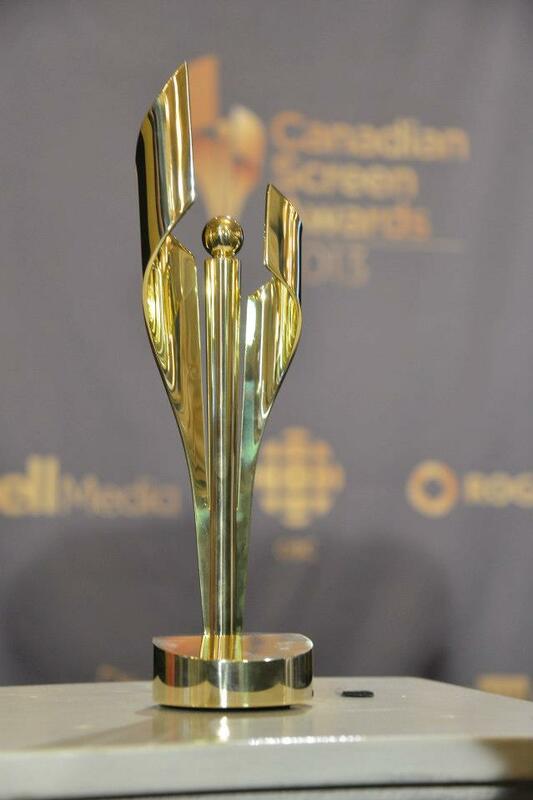 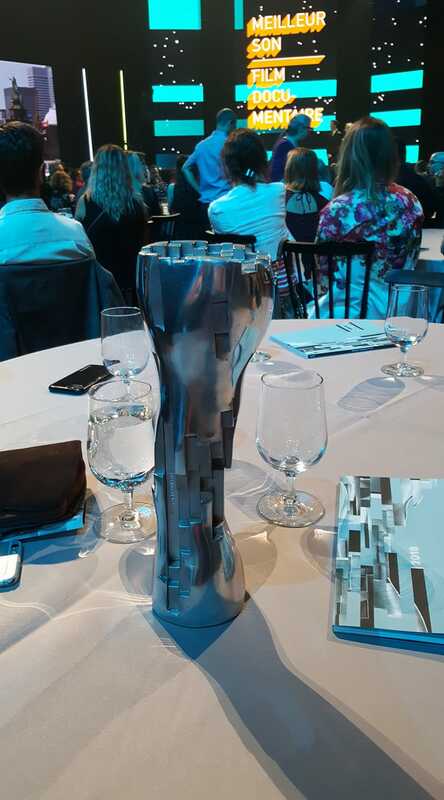 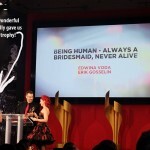 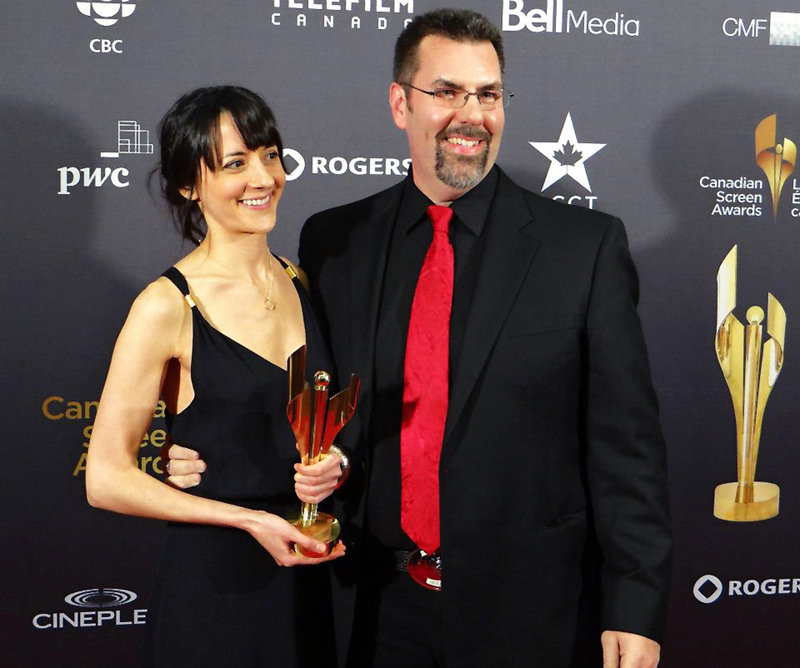 A ‘Canadian Screen Awards’ nomination for 2015, again for the excellent TV series ‘Being Human’, completed the 4-seasons, 4-nominations sweep for us with that project! 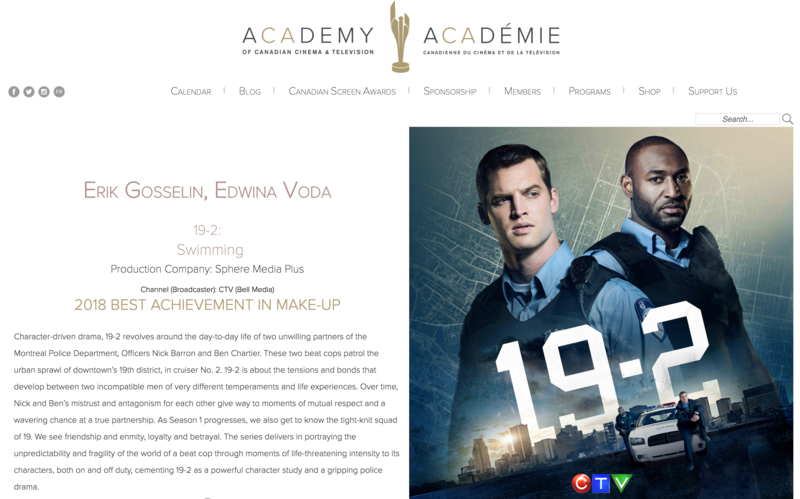 We were also nominated at the ‘Gémeaux 2016’ Gala for the beautifully done tv series ‘Pour Sarah’ with Virginie Boudreau and Nathalie Dion. 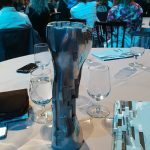 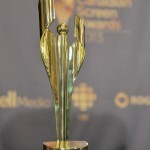 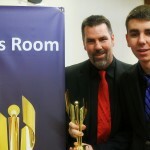 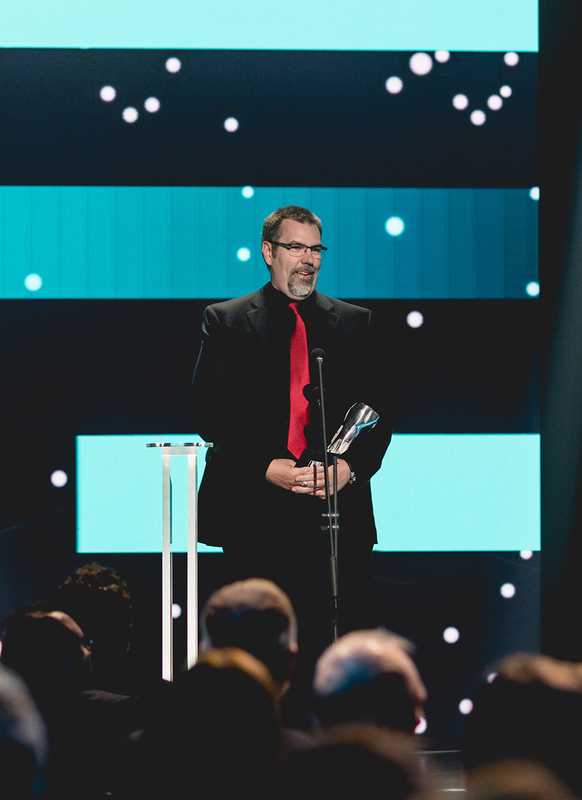 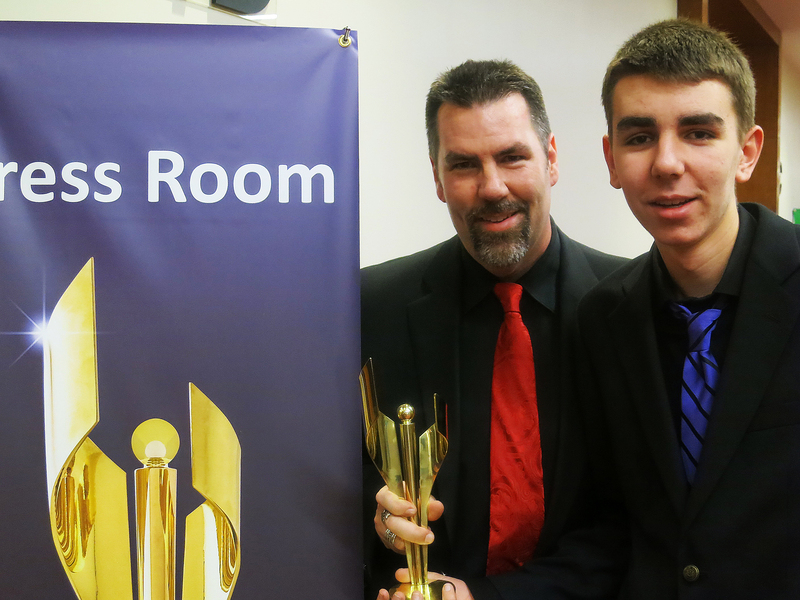 Looking forward to more at the ‘Canadian Screen Awards’ Galas in Toronto where the winners will be announced next month. 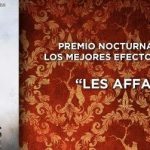 GO ’19-2′ (TV) and ‘Les Affamés’ (MOVIE). 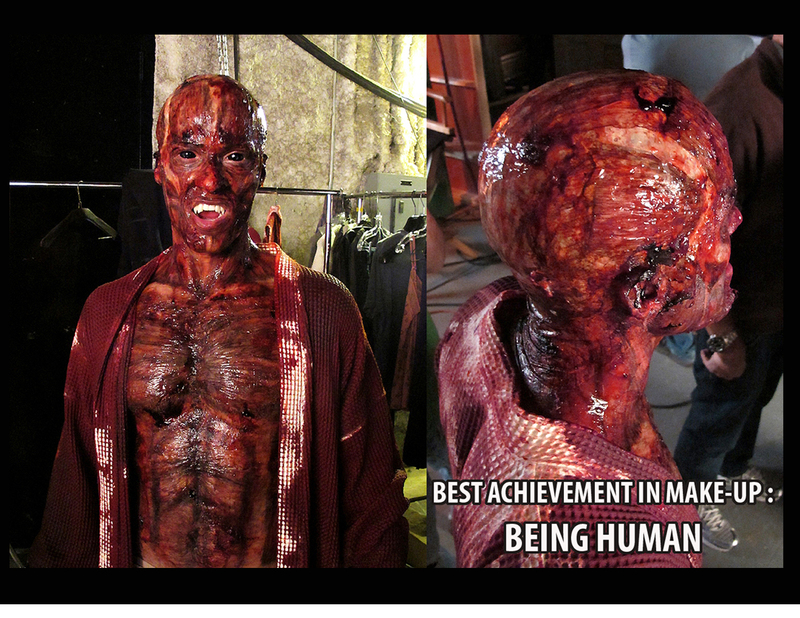 To be continued! 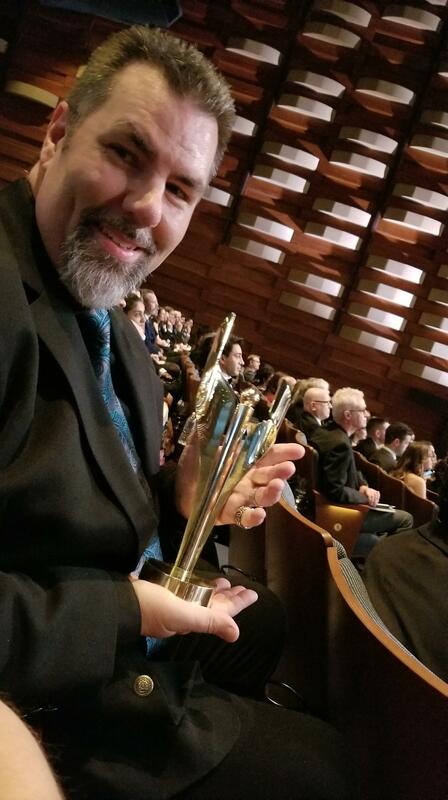 2018 also brought Lifemaker FX an ‘Iris’ nomination (former Jutra Awards) for the excellent ‘The Ravenous’ zombie movie. 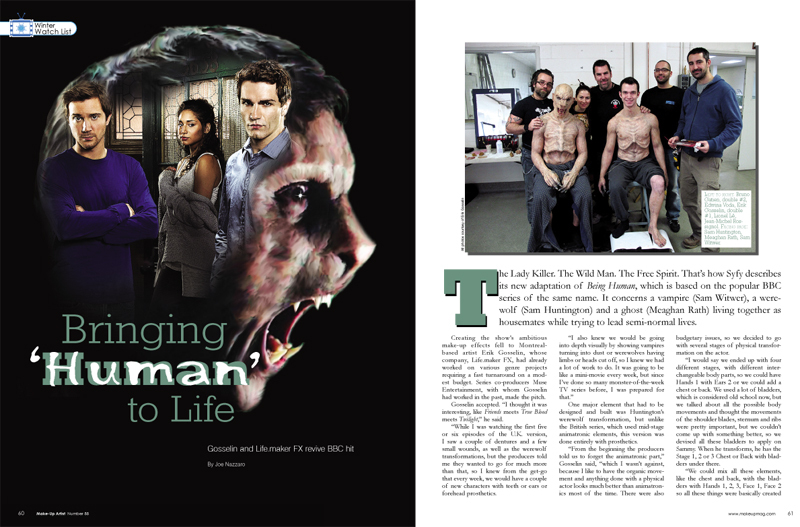 our last Make-Up Artist Magazine appearance for ‘Being Human’. 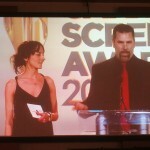 during our speech at the Convention Center in Toronto. 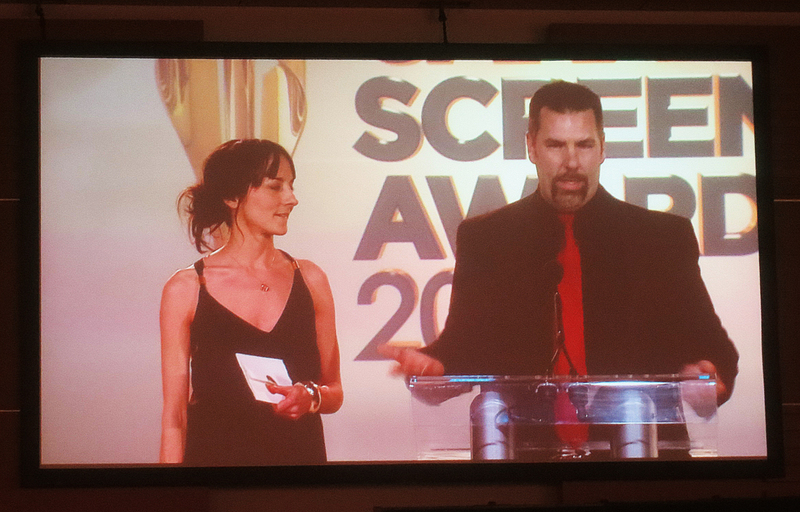 Best Makeup Award at the 2018 CSAs for The Ravenous. 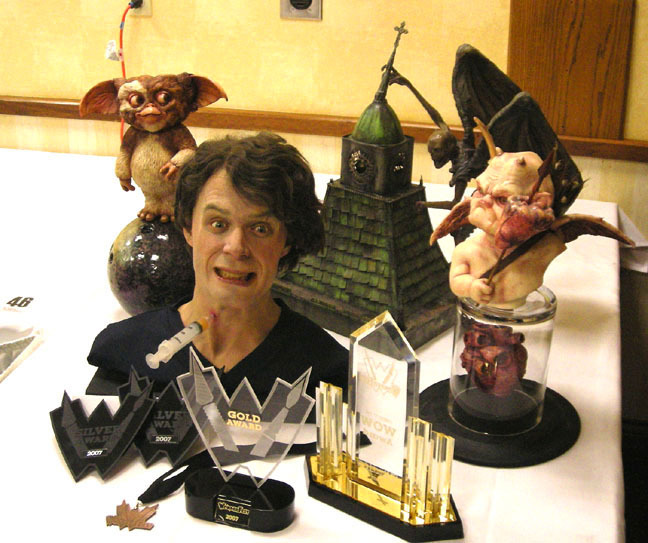 Chiller Thgeater Convention, New Jersey 2007? 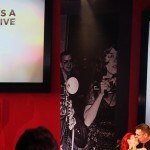 7x Awards. 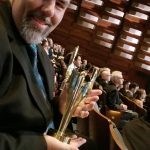 Best FX at the 2017 Madrid Film Festival for the movie The Ravenous from Quebec director Robin Aubert. 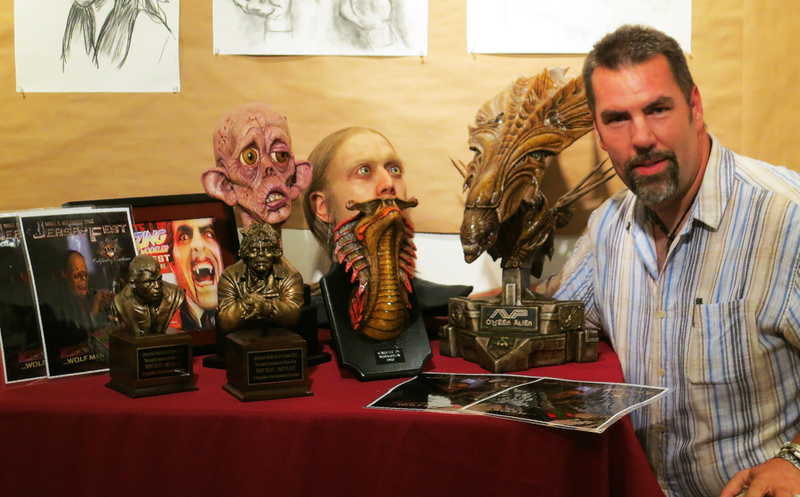 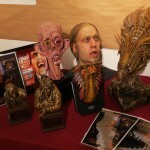 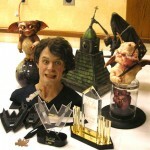 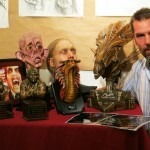 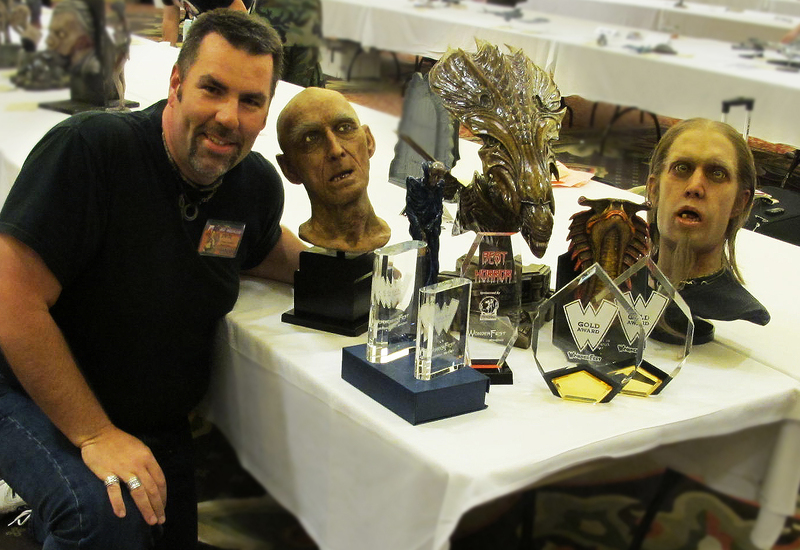 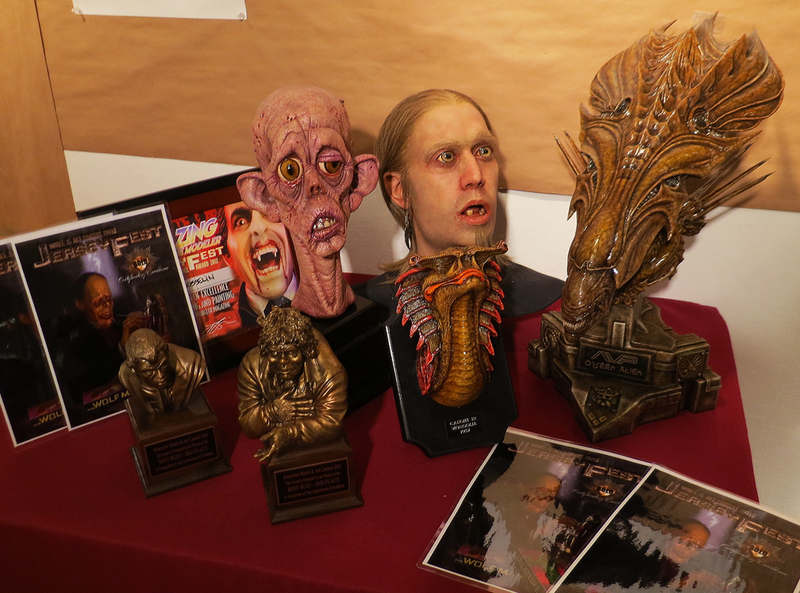 7x awards at the 2012 Wonderfest in Louisville, Kentucky. 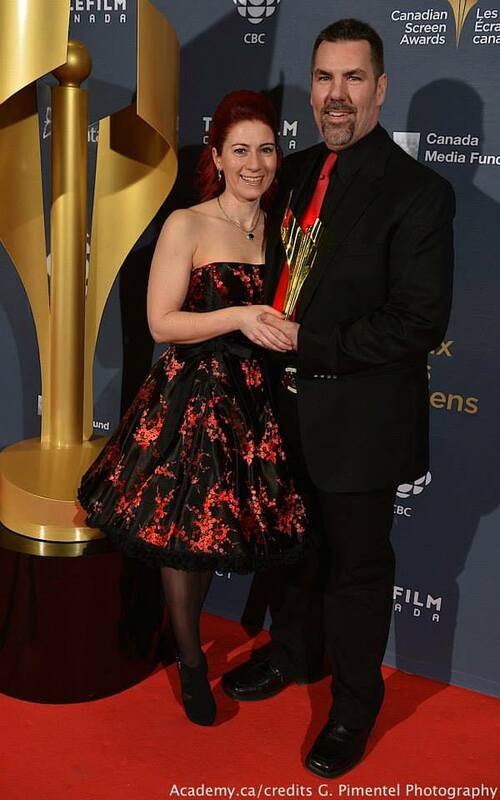 Toronto 2014 with my lovely wife and co-winner, Edwina Voda. 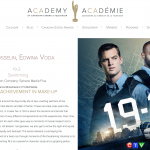 2018 Canadian Screen Awards nomination for Best achievement in Make-up for the TV series ’19-2′. 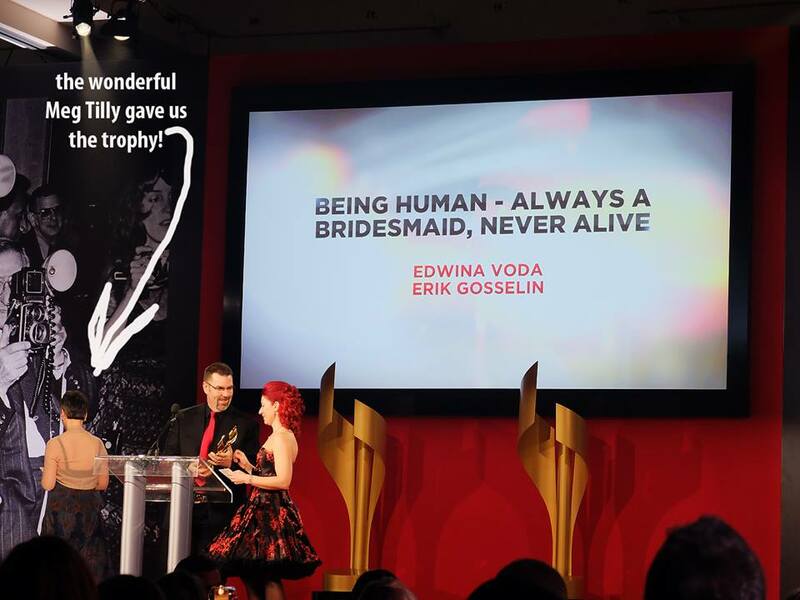 Shared with Edwina Voda. 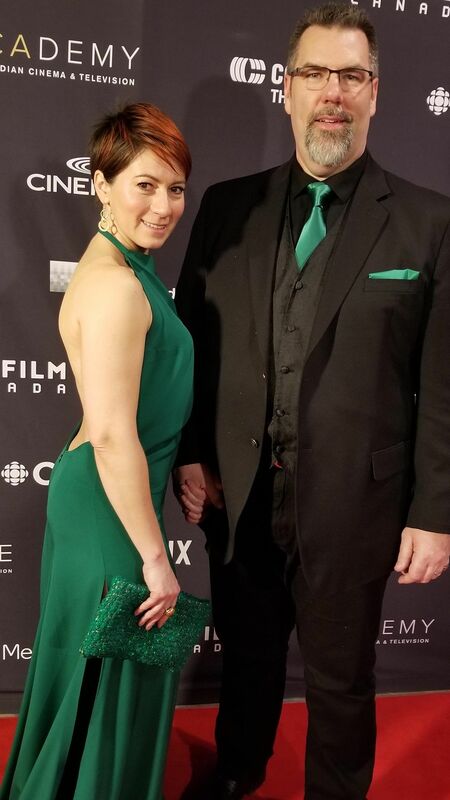 My beautiful wife Edwina Voda on the red carpet of the CSAs 2018 in Toronto. 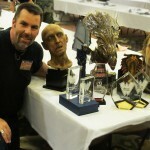 7x awards at the last JerseyFest Competition in New Jersey. 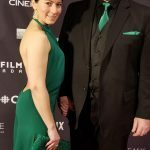 The IRIS 2018 for Best motion Picture Makeup in Montreal. 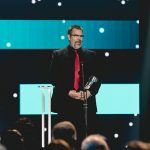 On stage at the 2018 IRIS Gala. 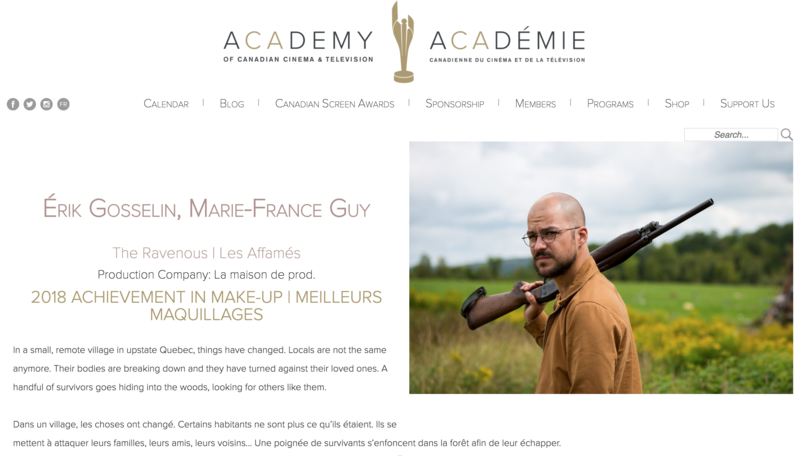 2018 Canadian Screen Awards nomination for Best achievement in Make-up for the movie ‘The Ravenous/ Les Affamés’. 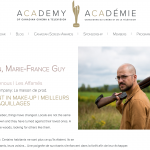 Shared with Marie-France Guy.